Oh my, winter has come early! 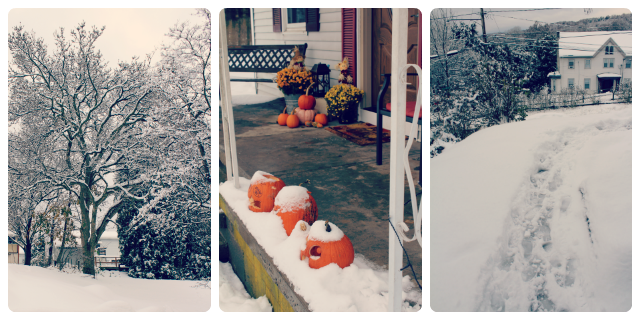 There is nothing more magical than the first snow of the season. Although, it came a bit sooner than expected, I love it just the same. Of course, not everybody feels the same as I do. The hubby is NOT a fan of snow at all! Ha!